The new Office is available as a cloud-based subscription service. As subscribers, consumers automatically get future upgrades in addition to exciting cloud services including Skype world minutes and extra SkyDrive storage. Subscribers receive multiple installs for everyone in the family and across their devices." 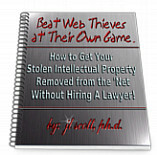 "SOPA And ACTA Are Sneaking Into Law"
"The Internet has won the fight. SOPA and ACTA are both dead after having been eviscerated by the combined powers of the world coming together to fight for what they believe in – basic digital human rights. We can now rest easy knowing that the war has come to an end. Politicians would never think to bring them back, even under the guise of innocuous trade agreements and IP bills, right? Right?" "Kill those Vista and Win7 gadgets now!" "In the unlikely chance that you’re using Windows gadgets, you need to get rid of them — right now! Those seemingly innocuous accessory apps that you stick onto your desktop, included with Vista and Windows 7, could be used to subvert your system."